Memorize these three cocktail recipes that showcase our favorite Sonoma-made sloe gin. Northern California’s Sonoma County is, of course, best-known as wine country. But in recent years, it’s seen a real craft spirits scene emerge, too. And while quintessentially British sloe gin wouldn’t seem like the most likely candidate for a young California distillery, Spirit Works Distillery’s Sloe Gin is exceptional. Timo Marshall, co-owner of Spirit Works together with his wife Ashby Marshall, grew up in southwest England, where his family would make sloe gin each year: foraging for the sloe berries out in the wild, steeping them in gin, and adding a touch of sugar for a rich, berrylike liqueur. At their distillery today, the Marshalls start the process from scratch, including the spirit base -- steeping their own wheat-based, London Dry-style gin with actual sloe berries, rather than using an extract. Some sloe gins are cloying and a bit artificial-tasting; not here. Far less sweet than some on the market, the Spirit Works version has a juicy, tart, berrylike flavor up front but finishes dry and ginny. They’ve got a phenomenal barrel-aged sloe, too, which we’d stick to sipping straight -- but their flagship sloe is perfect for cocktails. A classic sloe gin fizz or even sloe gin and tonic would work great with this bottle (check out those recipes here), but we’re trying it out in these three original concoctions. Shake them up and see what you think. Use a high-quality bottled sparkling lemonade if you like, but pouring lemon juice, simple syrup, and sparkling water together takes just a second. Instructions: In a large rocks glass with ice, combine an ounce of sloe gin, 1/2 ounce of fresh lemon juice, half an ounce of simple syrup, an ounce of club soda, and two ounces of a hazy IPA. 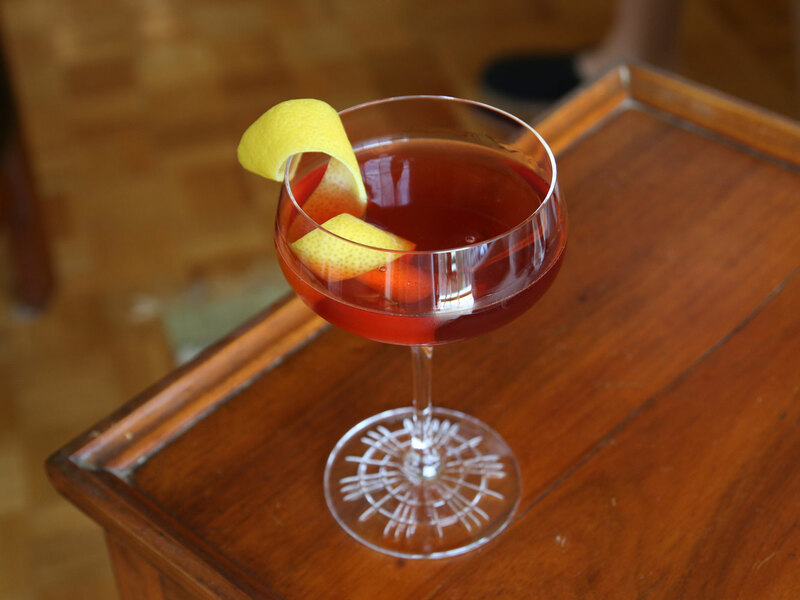 Stir briefly, and garnish with a lemon wedge and a cherry. 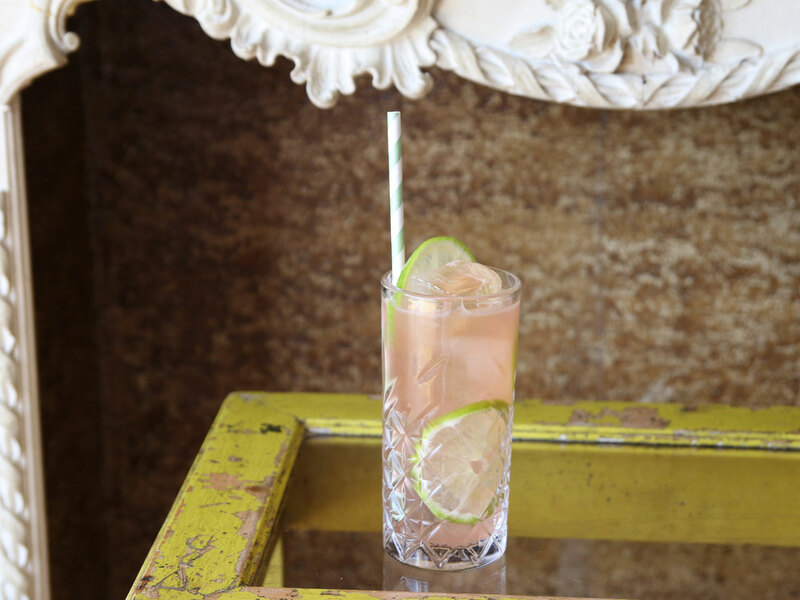 We’ve always loved a bit of cassis in a margarita, or good grenadine in a Mexican Firing Squad. So here, we’re pairing the similarly rich, fruity sloe gin with tequila and lime, and soda to lighten it all up. We’re planning on drinking these guys for the rest of the spring and summer. Instructions: In a cocktail shaker with ice, combine an ounce and a half of reposado tequila, 3/4 ounce of sloe gin, 3/4 ounce of fresh lime juice, and half an ounce of agave syrup (that’s agave cut 1:1 with hot water, and stirred until dissolved). Shake until very well-chilled, then strain into a tall glass with fresh ice. Garnish with a few lime wheels and a straw. There’s a rich complexity to this sloe gin that lets it stand in as an unorthodox substitute for sweet vermouth. So we’re pairing it with bourbon here, as you might in a Manhattan, but switching around the proportions and adding just a touch of simple syrup to sweeten. It’s clean, balanced, and perfect as a nightcap. 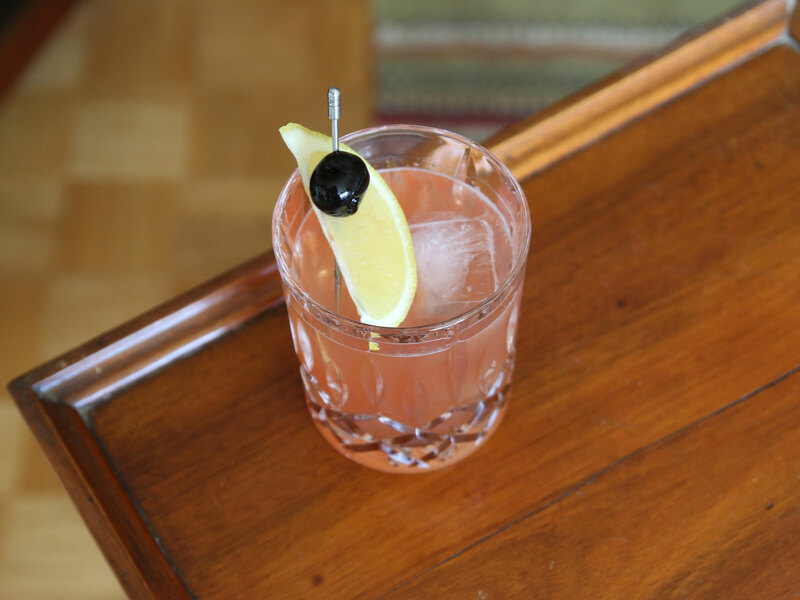 Instructions: In a mixing glass with ice, combine two ounces of sloe gin, an ounce of bourbon, and a quarter-ounce of simple syrup. Add a dash of Angostura bitters. Stir until very well-chilled, then strain into a cocktail glass. Garnish with a lemon peel, twisting over the surface of the drink to release its citrus oils.